Coming up on Thursday July 8th at the W San Francisco is a Vino & Vinyasa event with lululemon athletica. The evening begins with a complimentary yoga session led by Sean Haleen, who teaches Anusara-inspired and Vinyasa flow yoga, which will be suitable for yoga newbies and veterans alike. Bring your mat for a one-hour session, followed by a goal-setting workshop with a wine tasting courtesy of Napa Valley’s organic and sustainable Long Meadow Ranch Winery (nothing like setting goals while a little tipsy). Vino & Vinyasa guests may also cool down with a post-yoga dip in W San Francisco’s pool. Complimentary; RSVP here. Starting July 14th, you can return for complimentary one-hour yoga sessions hosted by lululemon every other Wednesday at 6:30pm through the end of the year. All participants are invited to take a dip in W San Francisco’s pool from 7:30pm-8:30pm. It’s the eighth annual half-off wine promotion at ~LARK CREEK RESTAURANT GROUP~’s Bay Area restaurants. All wine will be offered at half price for brunch, lunch, and dinner throughout the entire month of July (there are no restrictions on the day of the week or the meal period). Yup, that 2007 Robert Sinskey pinot noir just went down to $34.50 (regularly $69). 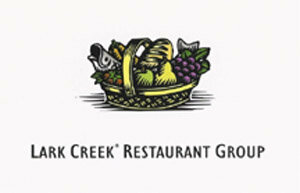 Participating restaurants of the Lark Creek Restaurant Group include The Tavern at Lark Creek in Larkspur; One Market Restaurant and LarkCreekSteak in San Francisco; Lark Creek Walnut Creek; Yankee Pier in Larkspur, Lafayette and at Santana Row in San Jose; and Parcel 104 at the Santa Clara Marriott (Friday evenings only). The half-price wine discount cannot be combined with any other offer. Are you a fan of savory flavors in your cocktails? Then the next ~FARMERS MARKET COCKTAIL NIGHT~ will be right up your alley. 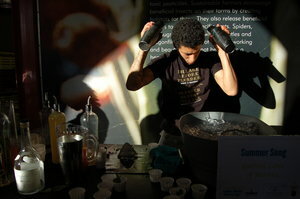 The event is presented by the Center for Urban Education About Sustainable Agriculture (CUESA) and the San Francisco Chapter of the United States Bartenders Guild (USBG). On Wednesday July 7th, you will be able to enjoy cocktails from Kate Bolton from Wexler’s, Michael Callahan from Gitane, Martin Cate from Smuggler’s Cove, Tony Devencenzi from Bourbon & Branch, Kyle Ford from The Savoy Tivoli, Rachel Ford from Cigar Bar, Robert Gonzales—USBG Nor Cal Ambassador, Daniel Hyatt from The Alembic, Shaher Misif from Cantina, and Ethan Terry from 15 Romolo. For $33, guests will enjoy two full-sized signature cocktails made with Auchentoshan Single Malt Lowland Scotch Whisky and Russell’s Reserve Small Batch Bourbon. You will also taste eight sample-sized drinks made with summer produce in combination with Blue Coat Gin, Combier Liqueur d’Orange, FAIR Vodka, Leblon Cachaça, Neisson Rhum Agricole Blanc, Tequila Fortaleza, Tres Agaves Tequila, VeeV Açaí Spirit, and Wild Geese Irish Whiskey. Hors d’oeuvres will be provided by local restaurants 15 Romolo, Bix, Comstock Saloon, Flour + Water, Perbacco, Tacolicious, Plum, and Kika’s Treats. All proceeds benefit CUESA & the USBG equally. Cheers! Flickr photo by Grégory Tonon. Coming up on Wednesday July 14th, Dr. 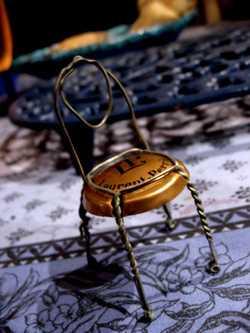 Champagne (aka Jerry Horn) is hosting one of his infamous Champagne dinners at ~PIAZZA D’ANGELO~ in Mill Valley. He will be pairing four choice French Champagnes with four savory courses from chef Massimo Covello—and they’re big pours, so you’ll have practically a bottle’s worth when all is said and done (so take a cab, hic). Fiori di Zucca: Capay Farm zucchini blossom filled with smoked mozzarella, Bellwether ricotta, and diced zucchini served with La Tercera Farm agretti and Capay Farm heirloom tomato, with Champagne Deutz Brut Millesime, 2002, Ay. Branzino in Carpaccio: California white sea bass carpaccio served with Arrowsmith Farm micro salad, capers, and dressing, with Champagne Laurent Perrier Brut Rosé, multi-vintage, Tours-sur-Marne. Risottino di Funghi Porcini: Vialone Nano rice with Champagne wine, porcini mushroom, Star Route cresta di gallo herb, and aged Parmigiano Reggiano (24 months), with Champagne Jean Vesselle Oeil de Perdrix Brut, nonvintage, Bouzy. Filetto con Finocchi: roasted Niman Ranch beef tenderloin, with braised Star Route fennel and summer Zuckerman Farms potato, with Champagne Louis Roederer Brut Rosé Millesime, 2004, Reims. Fantasie di Frutti di Bosco: trios of Fairfield Farm blueberry, Ortiz raspberry, and Lucero Farm strawberry dessert. The restaurant will not be collecting your payment—please send a personal check for $120 per person no later than Saturday July 10th made out to: Jerry Horn. Mail it to: 12 Sunnyside Ave., Mill Valley, CA, 94941, or drop if off at the Woodlands Market wine department and hand it to Jerry in person. No last-minute diners at the door on the evening of the event. Email Jerry with any inquiries; please don’t call the restaurant.